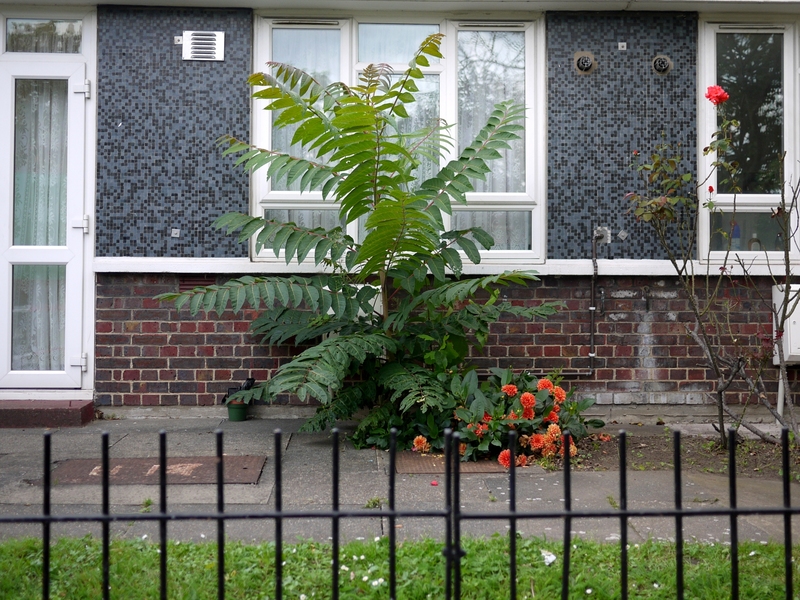 That tenacious suckerer, the Tree of Heaven (Ailanthus altissima) has been at it all over London. Since my last post on the Tree of Heaven, I have been seeing them everywhere. They are invasive and potentially damaging, but they appear to be tolerated, even encouraged by Londoners. It’s not just in the privacy of domestic gardens; the ToH manages to blend in to civic planting schemes just as sneakily. Since the Google street-view was taken in 2007/8 (I think?) this one has grown into a medium-sized tree blending in effortlessly with its older, planted neighbours. Only its position so close to the railing gives away its interloper status. Further down Amwell Street I saw another opportunist thriving in a crack between the pavement and a basement wall of a Georgian townhouse. Unusually I couldn’t locate the parent tree for these Amwell Street tenants, maybe it’s in a back garden or perhaps these are suckers from a street tree now removed. The success of the Tree of Heaven seems to be its ability to appear inoffensive, its attractiveness helps too, but perhaps it is its brazenness that works best for it. 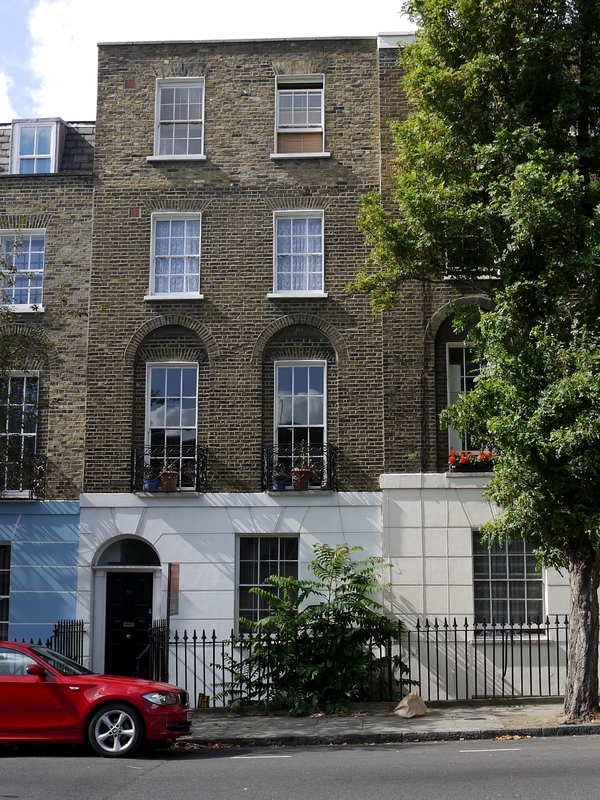 It will just pop up surprising a new landlord or landlady and rapidly take hold growing metres per year in some cases. I suspect there will be more ToH posts in the future, and I have started a leafy invader Flickr set which I will be adding to in the meantime.